In this month’s iOS music production app roundup we investigate a new sequencer from Clavia, Pioneer’s Rekordbox, Genelec’s SpeakerAngle, and an app for generating chord progressions called Chordion. Boutique synth manufacturer Clavia (creators of the legendary Nord Lead) have recently jumped into the iOS app game with Nord Beat — a beautifully designed free step sequencer application for the iPad. Nord Beat is a 4-track, 16-step sequencer that has been designed to accompany Clavia’s new Nord Drum virtual analog drum machine. And while the app will neatly accompany the $499 Nord Drum, the good news for iOS users is that the app works well with other CoreMIDI apps as well as your favorite studio DAW, making the Nord Drum one of the coolest free music apps we have seen this summer. Clavia explains, “Nord Beat is a free little app for iPad that lets you create beats in a classic step sequencer grid with the Nord Drum, Nord Lead or other MIDI gear. Nord Beat features 4 tracks, 8 patterns, 3 velocity levels and a flexible cueing system. There’s also a Pad Mode featuring 4 responsive drum pads with velocity support. 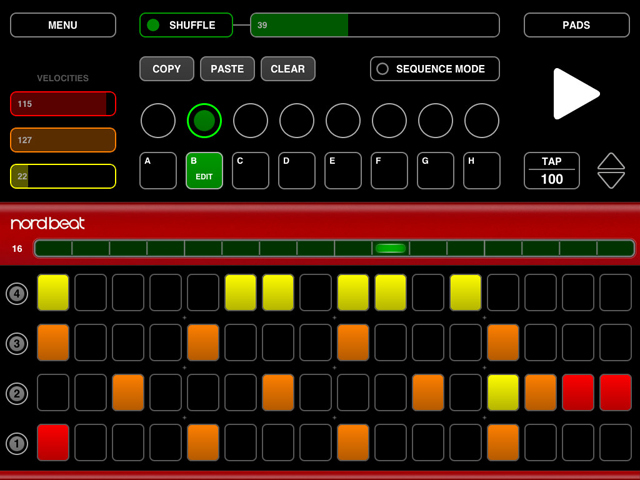 Nord Beat is free and works with any iPad running iOS 4.3 or newer. A CoreMIDI compatible MIDI interface is required.” Get the full details on the Nord Beat product page. 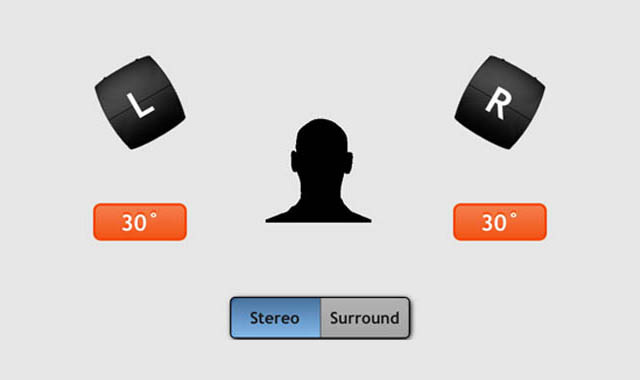 In an unexpected move, Pioneer have recently released their DJ music organization software, Rekordbox, for iOS devices. This music management tool is built for Pioneer’s pro DJ products and allows you to transfer music via WiFi, set cue points, create playlists, and prepare for your DJ performance by transferring music to your iPad or iPhone for management. You can also play music files in the iPhone version of Rekordbox with Pioneer DJ products that support WiFi (for instance the new XDJ-AERO). The app supports playlist creation, editing comments, track ratings, memory cues, hot cues, and beat grids. Looks like a handy tool for the digital DJ on the go. We are always on the lookout for applications that help teach music theory, and Chordion fits the bill as an easy-to-use chord and melody generator for the iPad. While the app currently lacks MIDI support (we’re hoping for an update in the near future), it’s a beautifully designed program that allows for playing chord progressions with the left hand and single notes with the right hand. Chordion is somewhat reminiscent of Polychord, but differs in the way that you play chords (with bigger pads for your fingers). The app allows customization of key, chord, scale, and mode and customized layouts to create your own system of performance. You can also load and save these settings for fast setup. Dubspot blog editor Michael Walsh is a journalist, DJ, music producer, and Dubspot instructor. He believes in open-source ideas and advancing the evolution of music by sharing ideas that push technology in new directions. As a catalyst for of electronic music’s growth, Michael was co-founder of the Ritual Recordings house imprint, helped develop numerous club nights and events, and has curated music for corporate events with clients such as Nokia, Puma, and Betsy Johnson. Michael has been a professional DJ for over two decades and produces house and techno music under a number of aliases.